Post Tagged with: "hospitality tax"
Horry County Council’s recent budget workshop provided an interesting view into budget making in an election year. County employees will receive what is being called a “three percent across the board merit raise.” In a countywide election, the county’s employees can account for thousands of votes including their families and friends. In addition, ways to fund additional raises for public safety personnel are being considered. 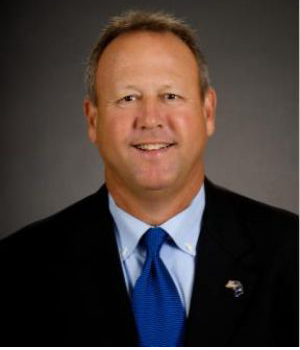 Horry County Council Chairman Mark Lazarus has proposed an additional $1 per hour raise for all Level 1, 2 and 3 police officers, Sheriff’s deputies and detention officers, which, if approved, will bring their respective raise amount to nearly 10 percent across the board. Lazarus also proposed an additional three percent across the board raise (six percent total) for firefighters and EMS personnel. The proposed public safety raise percentages were billed as necessary for “retention” of personnel, but it is interesting this consideration only seems to come up every four years or so when the council chairman is up for re-election. Even more interesting is the fact that this increase in the public safety budget will not add any additional personnel despite the growing population of the county, which causes an increased demand for services. Council member Harold Worley proposed using some of the excess hospitality tax revenue that the county will begin experiencing next year, currently estimated at $40 million per year, for increasing the number of police and fire personnel. County council already passed an ordinance stipulating continued collection of full Hospitality Tax after Ride I bonds are paid off. Lazarus, who wants to use that money for I-73 construction, was heard to utter “not going to happen” at Worley’s suggestion. One only has to consider the nearly $12 million of excess Ride II tax collections that recently was used to purchase approximately 3,729 acres of swamp land under the guise of establishing a wetlands mitigation bank in the county. That purchase literally came out of nowhere with little explanation to full council before it was approved. 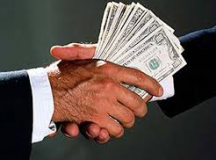 If council is unwilling to return those excess tax revenues to the citizens who paid them, it certainly seems those excesses would be better spent on items that benefit the largest number of citizens rather than on the wishes of a few at the top of county government. The voices of average citizens need to be heard. Horry County and the City of Myrtle Beach are investigating a joint purchase of the former Hard Rock Theme Park. According to sources familiar with the talks, the reason for the purchase is to build additional sports fields for the sports tourism industry. This is not a good idea on several levels. Horry County and Myrtle Beach should not use public tax dollars for the purchase of land and construction of sports facilities for the tourism industry. Horry County just raised property taxes by 7.2 mils (the maximum increase allowed by state law) for this current fiscal year ostensibly for pay increases and public safety improvements. Now it not only proposes to use tax dollars to purchase land and build sports fields, but the purchase of the former theme park property by local governments would remove that land from the tax rolls, a double whammy for local taxpayers. Horry County already wastes over $1 million per year funding the operations budget of the Myrtle Beach Regional Economic Development Corporation. If this is such a good idea, shouldn’t MBREDC be able to recruit private business to purchase the land and build the facilities? 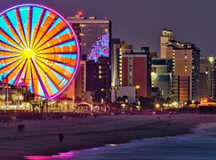 Myrtle Beach raises tens of millions of tax dollars, with its one cent tourism sales tax, that it turns over to the Myrtle Beach Area Chamber of Commerce to use for tourism advertising. This is something that should be funded by marketing budgets of the private businesses in the tourism industry. Horry County Council Chairman Mark Lazarus was absolutely correct recently when he said the proposed I-73 should not be included with RIDE III projects. Lazarus was responding to comments made by local state Rep. Alan Clemmons (R-107) who is trying to keep I-73 in the discussion about what road projects will be paid for with local sales tax. 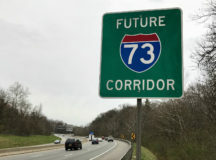 Clemmons continues to push the myth that I-73 will be a huge job creator for the local area, a myth based on a “faulty” study commissioned by the Northeast Strategic Alliance (NESA) several years ago. The myth was debunked by several other independent studies.